Drilling through wood and metal is not an easy job, but having a quality power tool to assist you with this task is guaranteed to make the whole process less stressful and much more manageable. Low-quality machines won’t only cost you time, but they can also fail and make you spend additional money on fixing or replacing them. For that reason, investing in an efficient, durable, and reliable floor-mounted press drill could be one of your wisest decisions as a handyman. The Powermatic PM2800B seems to be an excellent choice – it’s the most expensive model of this type we’ve encountered so far and as such packs a powerful punch and comes loaded with useful features. 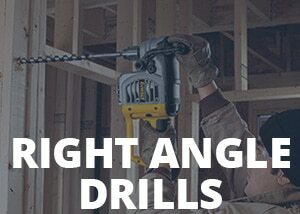 To find out if it’s really the best of the best, we’ve decided to deeply analyze every aspect of this drill and determine what its advantages and flaws are. Read on! This high-end model comes with one of the most powerful motors we’ve seen in a press drill – the 15.0 AMP (1.0 HP) inductive engine packs a pretty serious punch. This allows the device to achieve the torque that’s guaranteed to bore through tough and dense materials with ease, allowing you to perform all kinds of heavy-duty drilling operations with the unit. Just like we expected, the Powermatic PM2800B has variable speed controls, allowing the user to choose a speed setting from a range between 250 and 3,000 RPM. It also has a 90° adjustable table, a keyless 5/8″ chuck, a safety key, the bright laser guides, a couple of powerful LED lights, as well as the digital readout that shows the current speed (in RPM). With the dimensions of 58″ x 26″ x 15″ and the weight of 246 pounds, the Powermatic PM2800B is quite tall and large, although that’s something one should expect from a premium floor drill press. This means that the unit isn’t that portable and that transporting it from one place to another might prove challenging. Fortunately, its size also brings a specific advantage – it absorbs vibrations and thus makes it secure and stable for the heavy-duty drilling operations. The overall build construction is an excellent one. The model was made out of cast-iron, lightweight aluminum, and ABS plastic. The combination of these materials gives it the necessary durability and the capability to withstand the challenges that come with the DIY/professional metalworking and woodworking projects. Both the table and the fence are completely adjustable. The table itself can be tilted to a maximum of 90° and then simply locked into position. As you can already guess, this provides the user with the ability to perform drilling operations at weird angles, and these are sometimes unavoidable when working with wood and metal. As a high-end drill, the Powermatic PM2800B comes with a motor of appropriate power. It’s a mighty 15.0 AMP (1.0 HP) inductive engine that makes short work of every task you throw at it. It achieves the maximum speed of 3,000 RPM and enables the user to choose from a range of different speed settings, thus allowing optimum application of the previously mentioned power. One doesn’t have to adjust the belt to change the speed – it’s all done by cranking the intuitive hand wheel. To ensure efficient but straightforward operation, the manufacturer decided to outfit this unit with a 5/8″ keyless chuck. It’s a high-quality model that enables quick bit changes and works just as advertised. Other features worth mentioning are the dual LED work lights (for illumination of the workpiece), the safety key (prevents accidental starts), the laser guides (for better accuracy), and the digital RPM readout (shows current speed). We really liked the build quality of this floor press drill – it’s among the best ones we’ve seen so far. Built from sturdy ABS plastic, cast-iron, and lightweight aluminum, the PM2800B looks and feels incredibly sturdy and durable. Its large size removes the issues that come with vibrations and makes the whole machine very stable and secure. This drill is a real powerhouse – the combination of its robust 15.0 AMP motor and a 5/8″ keyless chuck will bore through any material, no matter how dense and tough it is. The ability to choose from a range of speed settings also deserves some praise, as do the numerous handy features, such as the adjustable table, the dual work lights, the laser system, the RPM readout, and the safety key. When it comes to downsides, our biggest complaint about Powermatic PM2800B is that it’s quite noisy while it’s working. This is especially pronounced when you start the drill – there’s a loud, rattling noise that’s bound to give you a scare. We should also mention that this is a very costly model. If you’re on a tight budget, you’ll have to look elsewhere. Those who were able to afford this premium press drill are more than pleased with its efficiency and build quality. They’re saying that the Powermatic PM2800B is the best of the best, as it provides them with enough power to effortlessly tackle heavy-duty drilling operations. The fantastic construction quality of this machine gives the users confidence about its durability and reliability. The fact that it comes with a 5-year warranty only confirms that it has been built to last, which is precisely what the users expected at this price. Though it comes at a high price, this machine effortlessly pushes all the boundaries to provide the user with unprecedented power, speed, and accuracy. Furthermore, it has one of the best construction qualities we’ve ever seen, and should, therefore, serve you for the years to come. The Powermatic PM2800B is worth every cent of its price – we highly recommend it!